Product prices and availability are accurate as of 2019-04-21 02:56:15 EDT and are subject to change. Any price and availability information displayed on http://www.amazon.com/ at the time of purchase will apply to the purchase of this product. 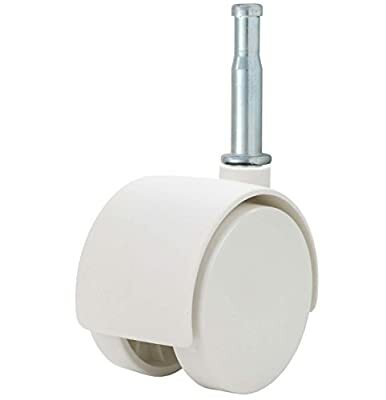 Twin Wheel Caster Solutions offers the best premium twin wheel caster. Not only do we proudly focus on manufacturing the highest quality casters, no detail is left unnoticed. Hidden within the caster is a hardened steel zinc plated axle, something you will never see but should not go unnoticed. Furthermore, our nylon wheels are truly 100% nylon with no added fillers. Additionally our urethane wheels boast a thick urethane tread wrapped around a 100% nylon core ensuring the perfect non-marketing soft wheel designed to last for years to come. We have proudly passed all BIFMA testing requirements and have won numerous awards for quality. But we let our product and service do the talking. Twin Wheel Caster Solutions sets itself above the rest by our devotion to reliability; amazingly fast shipping times and excellent customer service. Go ahead and give our twin wheels a try, you’ll be glad you did.